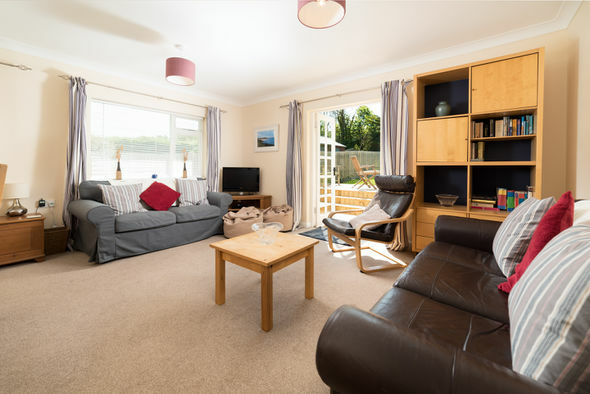 Ideal for large families and friends, Oyster Cove is a stylish and modern split level bungalow. 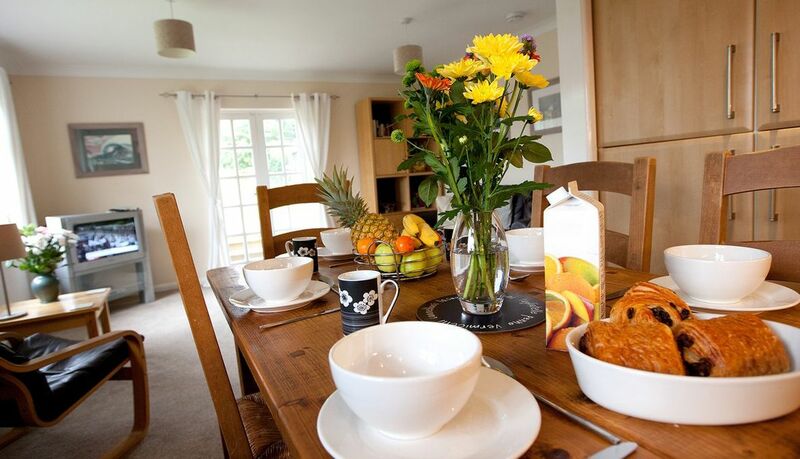 The accommodation is spacious, attractively decorated and furnished to a very good standard. 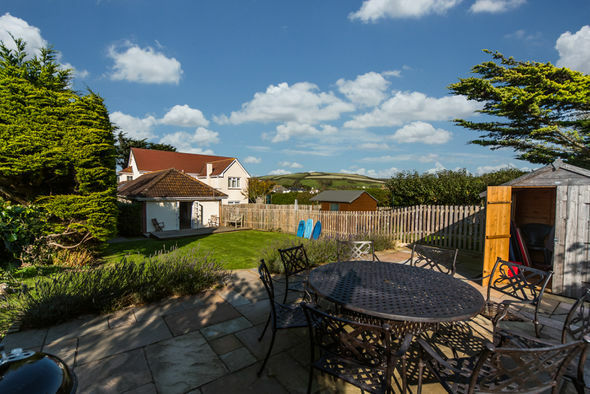 The property is set within truly spectacular scenery with an enclosed south facing garden perfect for both children and dog owners. 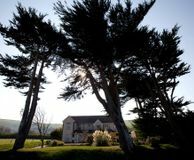 Surrounded by fields, the property looks onto the imposing headland separating Croyde from Saunton with views from the upper terrace of Downend Point and the Atlantic Ocean. 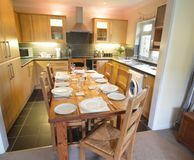 Approached from the side, the front entrance leads to a well-proportioned sitting room and open plan fitted kitchen/diner with a black slate floor. 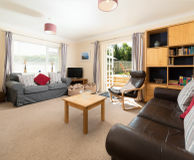 The comfy living room features ample seating with a leather armchair, two three-seater sofas and large squashy bean bags, allowing everyone to sit back and relax as they take advantage of the WiFi, play games or watch the flat screen TV with Freeview and DVD player. 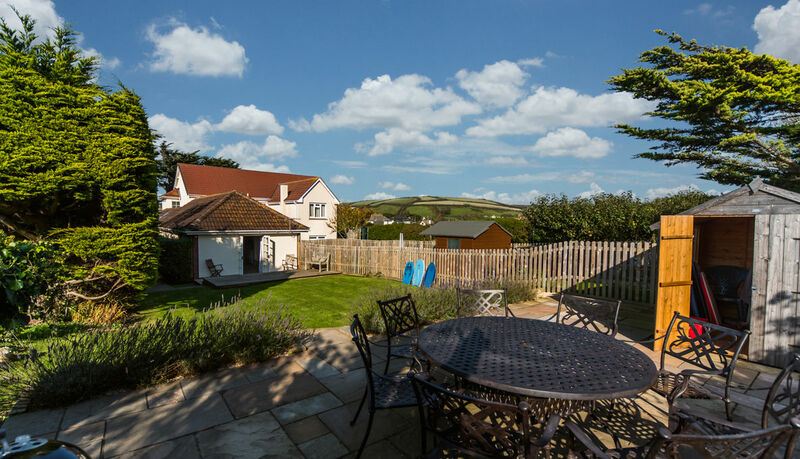 French doors lead out from the lounge to a decked terrace and lawn, which heads up to a raised patio that embraces the natural environment, sumptuous tranquillity and views out towards Baggy Point and the ocean. 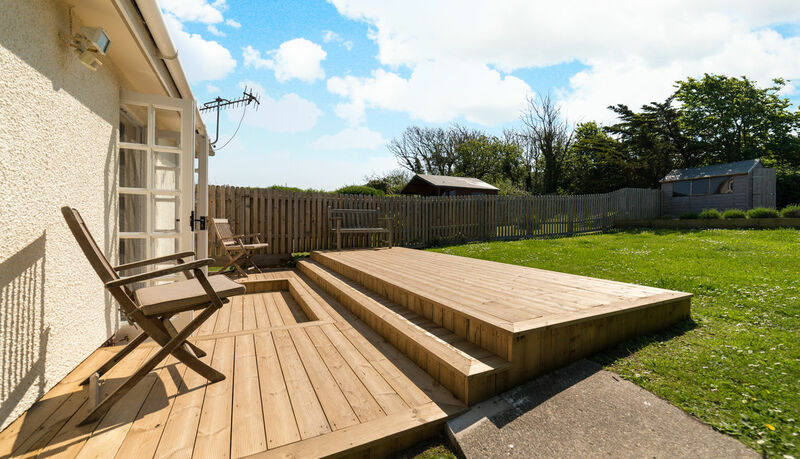 An outdoor table and seating for eight means everyone can enjoy lazy evenings around the BBQ. 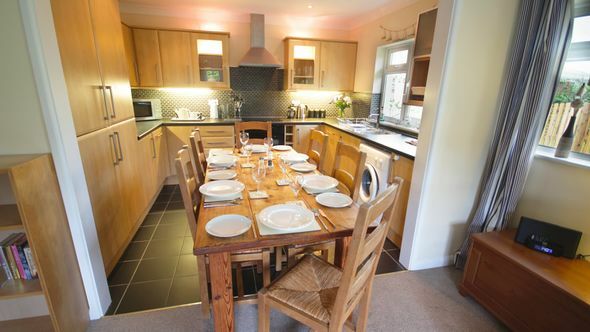 Neatly situated to one side of the living room is the well-equipped kitchen and dining area. 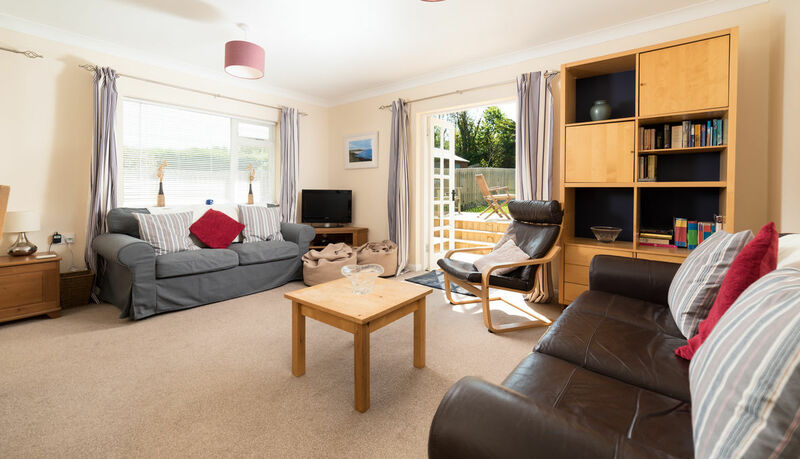 The kitchen offers fitted units, a stainless steel stove, an electric hob and oven, a microwave and an integrated fridge/freezer, plus a dishwasher and a washing machine - everything you need to keep the family happy. 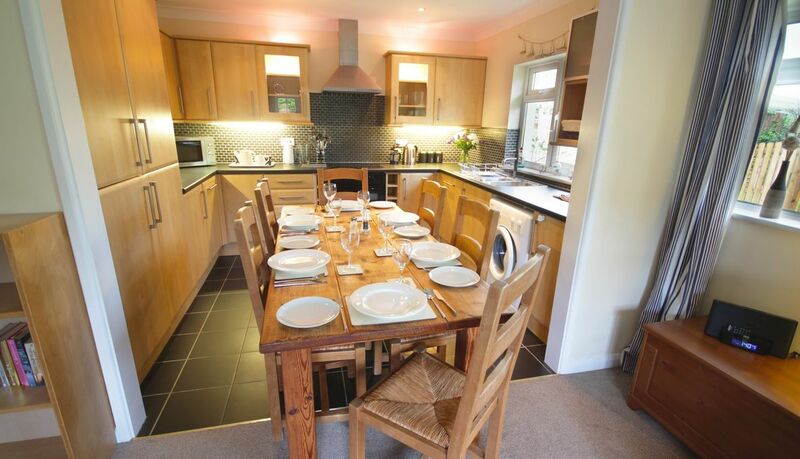 There is also a long pine dining table, which allows the whole family to enjoy meals together. 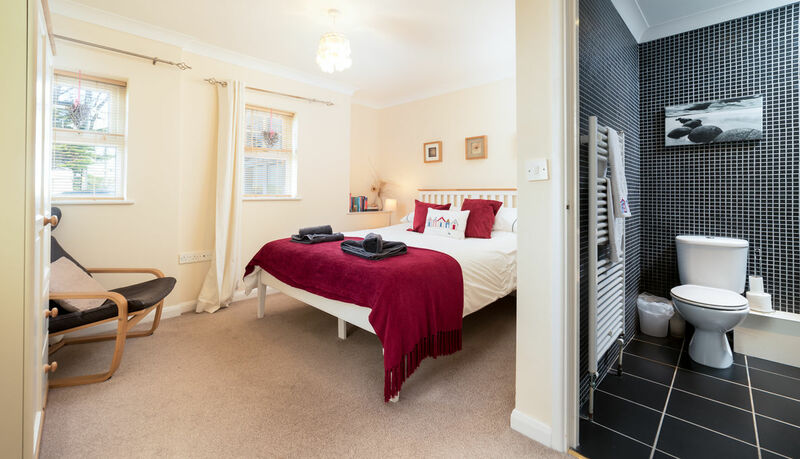 The Master Bedroom is a relaxed haven, beautifully decorated in neutral tones that are wonderfully combined with the bright bed linens covering the king-size bed. 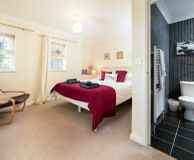 The Master Bedroom is also well furnished with a wardrobe for clothes, a handy leather armchair and two bedside cabinets. 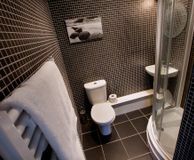 Situated just next door to the Master Bedroom is its own private en-suite shower room, which has a stunning contemporary feel with black tiled walls and floor. 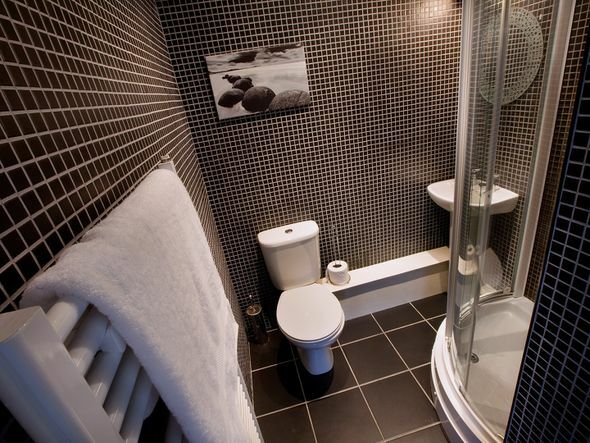 This modern bathroom has a large shower cubicle, WC, a pedestal basin and a tall heated towel rail. 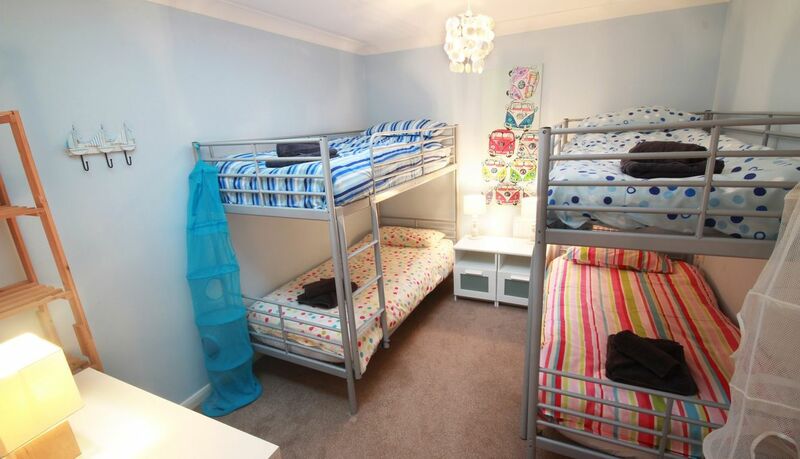 Perfect for the kids or adults who are happy to share is the fun bunk bed room, which is decorated in colourful shades of blue and features funky wall art. 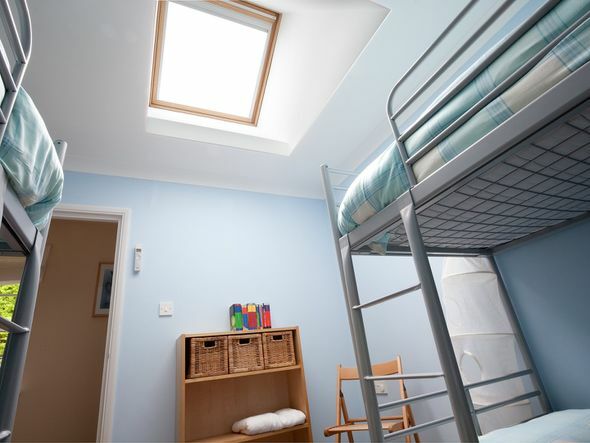 The room has two sets of full sized bunk beds and includes a velux window with an automatically controlled opening and closing black-out blind. 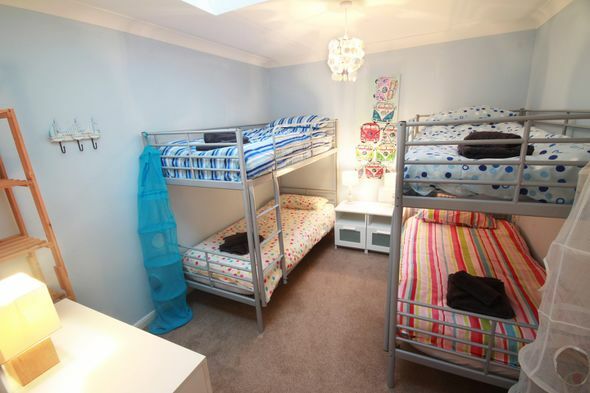 The bedroom has plenty of storage space, as well as a small toy box, shelves and under bed baskets. 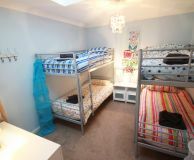 This really is the ideal room for children of all ages. 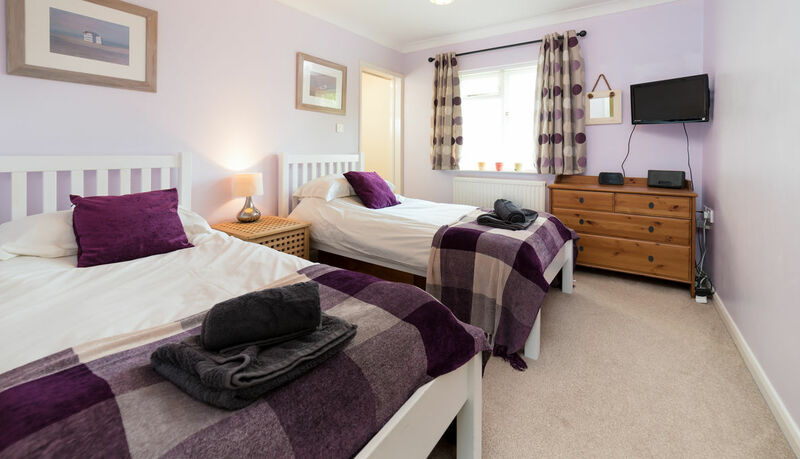 Stylishly decorated in light pastel violet is the pretty twin bedroom. 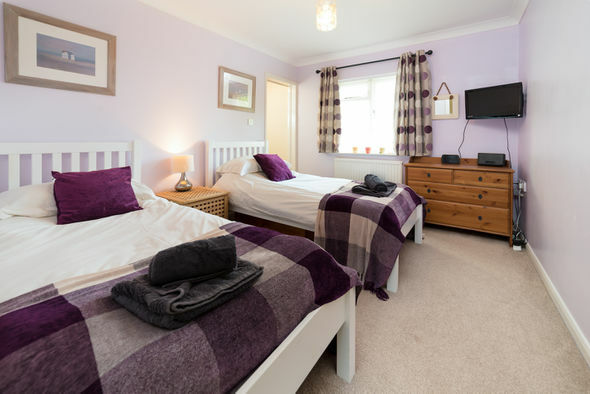 This good sized room has a two full sized wood framed single beds, as well as a walk-in wardrobe, which houses an additional z-bed, a high-chair, a stair-gate and a travel cot for guests that require them. 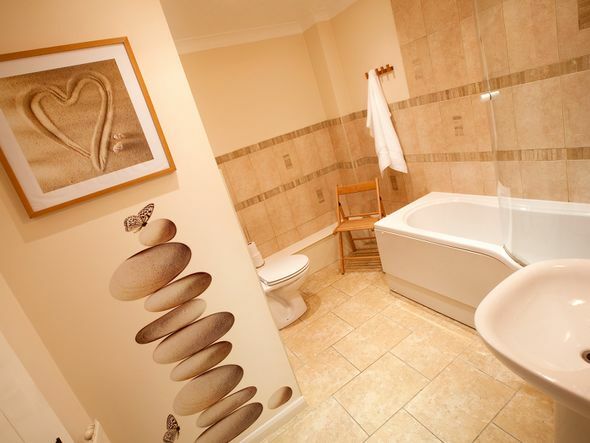 The main family bathroom is large and spacious. 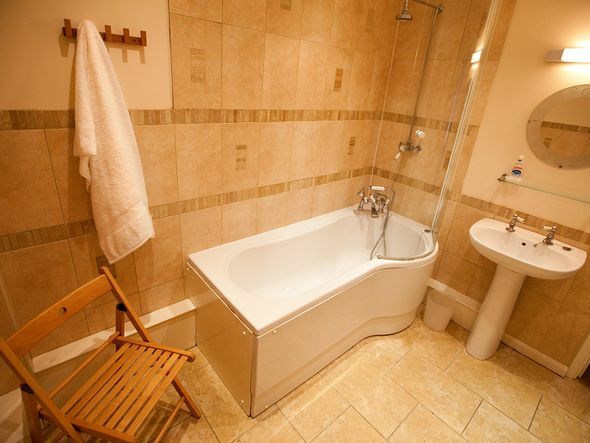 It is fitted with a big curved bath with overhead shower and separate hand-held shower attachment, making it flexible for everyone's needs. 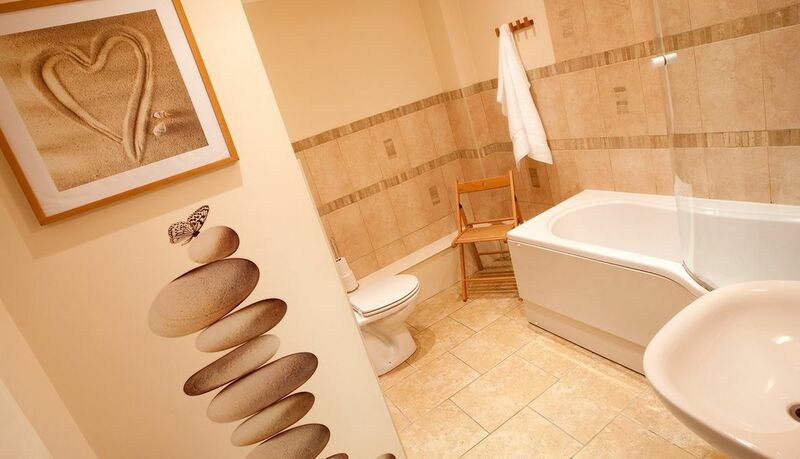 There is also a pedestal washbasin and a WC. 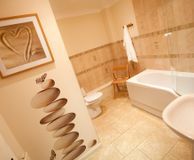 As well as the main family bathroom there is also an additional guest cloakroom with WC and a pedestal basin. 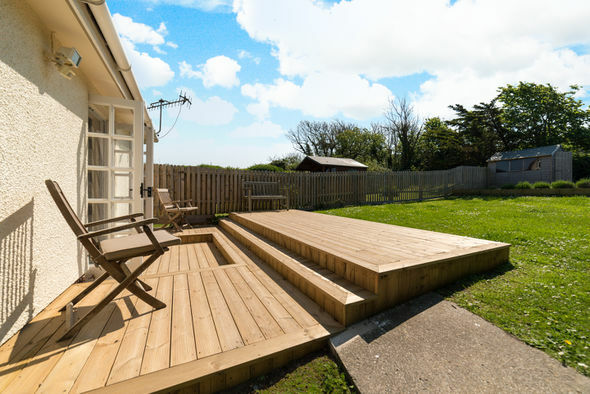 The south facing garden, which is accessed via the living room, has a wooden decked area with a lovely lawn leading up to a raised patio, which enjoys wonderful far reaching views across to the Bay. 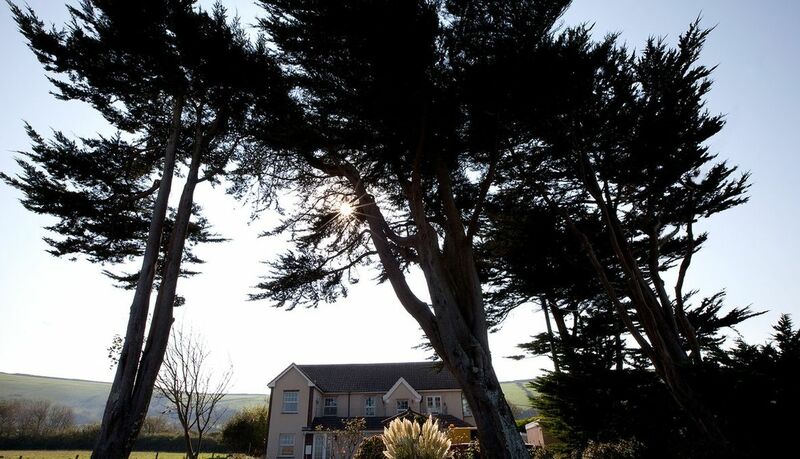 The garden is fully enclosed and ideal for children. 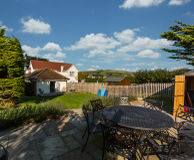 The garden features an elegant round outdoor table and chairs for eight, as well as a BBQ, which is great for warm evenings after a day on the beach or exploring North Devon. 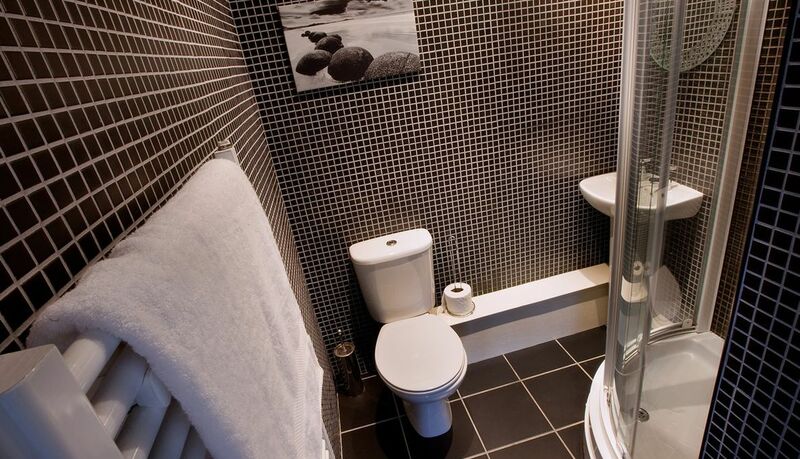 To the side of the house is the outside shower, which is perfect for cleaning off sand after a good day on the beach, washing through wetsuits or cleaning surfboards. There is also a lockup storage unit for sports equipment. 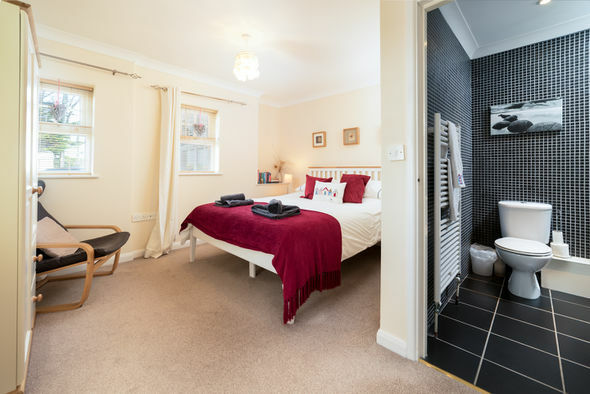 To the front of the property is off street parking for two cars and an attractive communal front garden that is bordered by mature trees and hedgerows allowing for plenty of privacy from the village road. 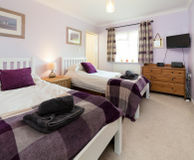 Please note that items not provided for at the cottage include beach towels, bedding for cots and bedding for the Z-bed. 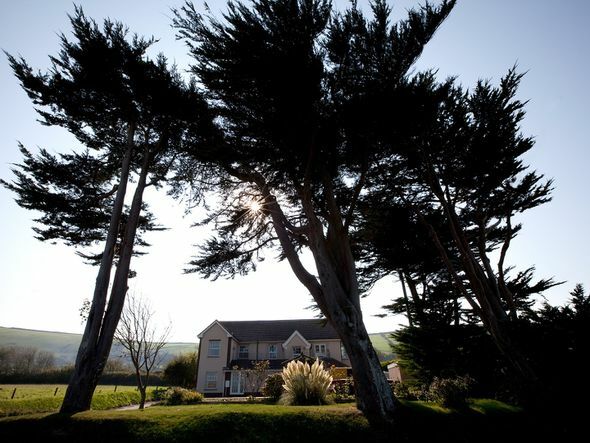 Oyster Cove is more than happy to accept up to two dogs in the low season when dogs are allowed on the beaches. 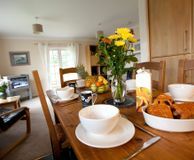 During the high season, dogs are only accepted on an individual basis. Please get in touch via email or on 01271 377 432 for more information.